Firm founder Barry A. Resnick has served the community in criminal law for over 30 years. Mr. Resnick worked as an Assistant Prosecutor for the Wayne County Prosecutor's office for 8 years. In that role, he investigated and tried cases for the elite Special Assignment Squad, handling serious felony matters including drug conspiracy and murder. Today, as the trial lawyer and sole partner at the Law Office of Barry A. Resnick, he provides a powerful voice for clients in a wide range of felony and misdemeanor cases. 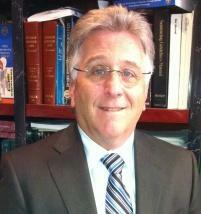 Mr. Resnick has tried thousands of criminal cases in Michigan and is a well-known criminal defense attorney.